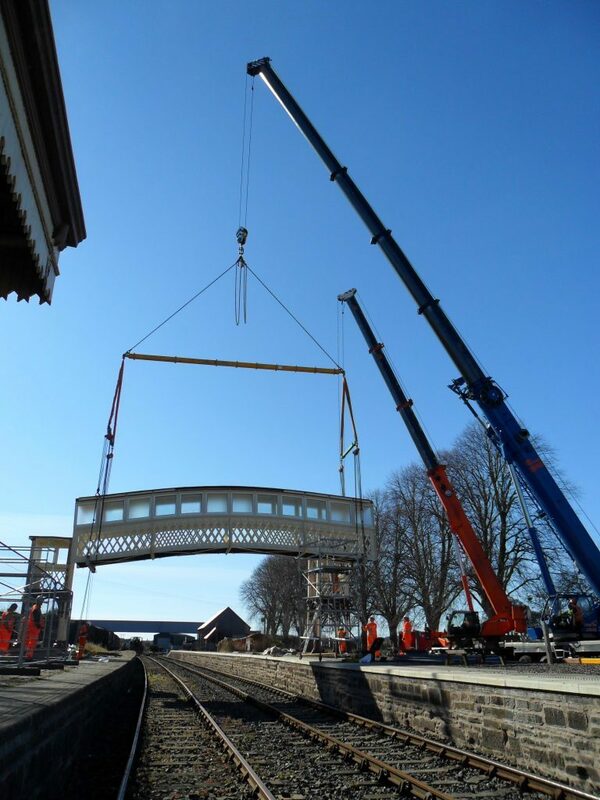 A rare Victorian footbridge from Dunblane Railway Station is being given a new lease of life in Angus. The installation at Bridge of Dun marked the culmination of four years of work to secure the future of the historic bridge. 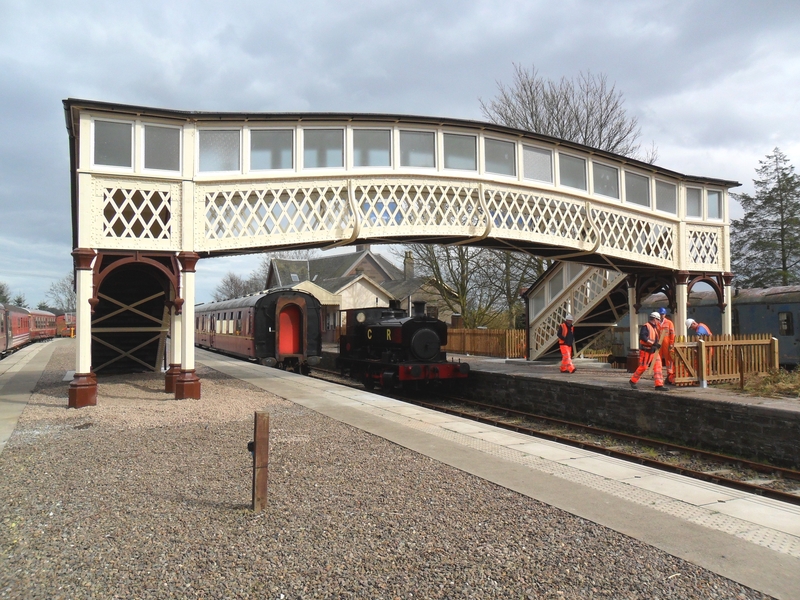 Finishing touches are still taking place to complete the bridge in time for Caledonian Railway’s Easter Eggspress service on Easter Sunday with an official opening planned for later in the year. Blair Winton from the railway said: “It certainly is a good news story and we’re grateful to Network Rail for their work. Dating back to 1895, the bridge was erected by the original Caledonian Railway at Dunblane station and was the second footbridge on the site. The bridge survived in use at Dunblane, relatively unaltered, for over a century until the current Caledonian Railway – which operates a four-mile preserved railway from Brechin to Bridge of Dun – was approached by Network Rail in 2012. Network Rail was upgrading access at the listed Dunblane station and was keen to explore the possibility of moving the bridge to improve access at Dunblane. A site close to the location of the original footbridge at Bridge of Dun station was identified as suitable and, with the agreement of the appropriate planning authorities, work started. 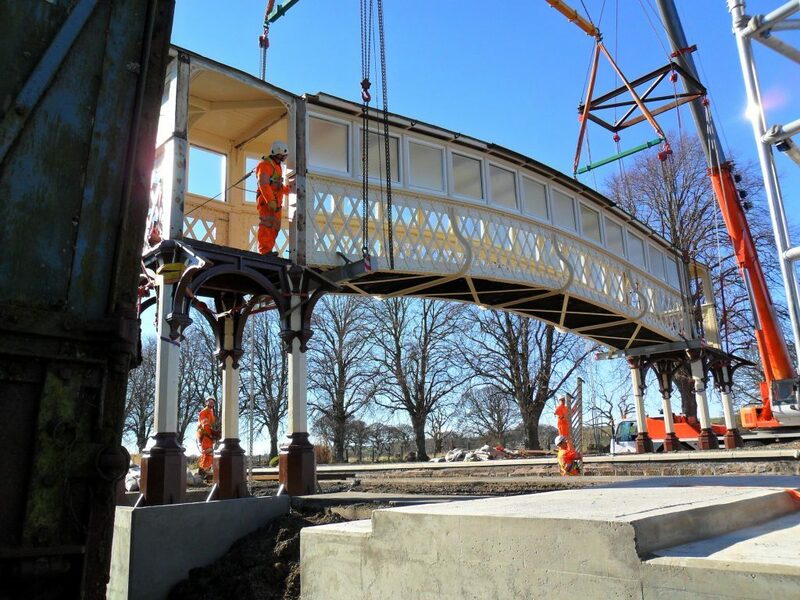 The bridge was carefully dismantled and refurbished by the expert team of Miller Callaghan Engineering Ltd in Irvine and, following groundwork by Story Contracting, the bridge was finally repositioned. 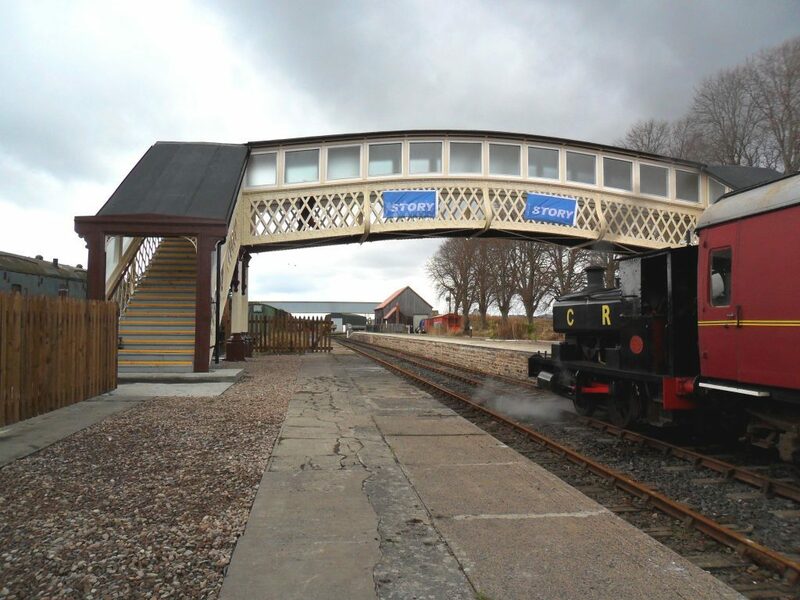 Brechin’s Caledonian Railway is an entirely volunteer-run non-profit organisation, with funds being reinvested into the restoration and preservation of the railway. Volunteer Jonathan Black added: “With its attractive lattice-work and decorative piers it is an unusual survivor, particularly with its covered deck and graceful segmental arch. The Caledonian Railway line between Brechin and Montrose was built by the Aberdeen Railway in the 1840s. It closed for passenger traffic during the early 1950s with final closure undertaken by British Rail in 1981. The Brechin Railway Preservation Society was formed in 1979 with the operating arm, Caledonian Railway Brechin Limited, being incorporated in 1982. The line was reinstated and preserved for four miles between Brechin railway station and Bridge of Dun railway station. Since 1993 trains have run at weekends during the summer as well as on special occasions at other times of the year.